Multi strand Toggle in solid silver or bronze 32x32mm in size with 4 loops on each end. Textured and rounded in shape. 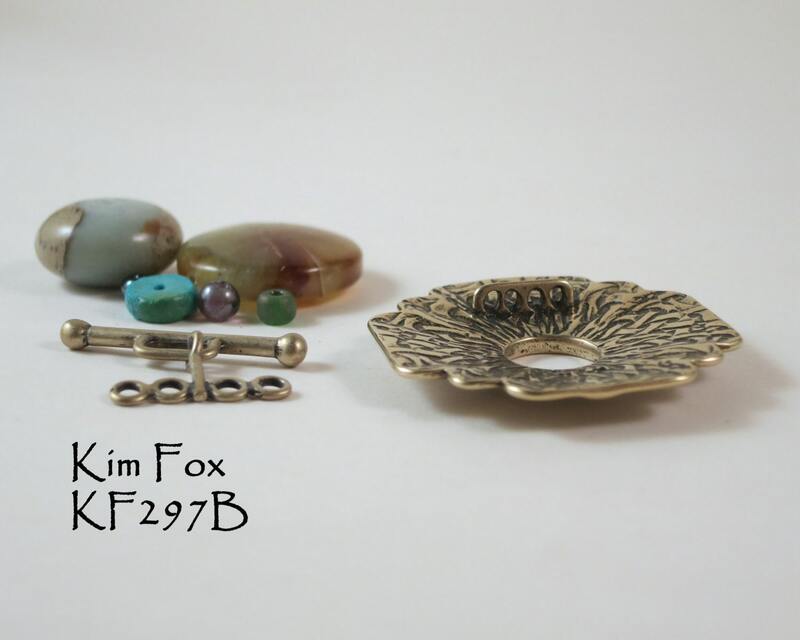 Suitable for use with kumihimo, bead crochet, stringing, chain maille. Solid bronze construction and fully textured on all sizes. Wonderful to wear in the front, to the side or the back of any necklace. 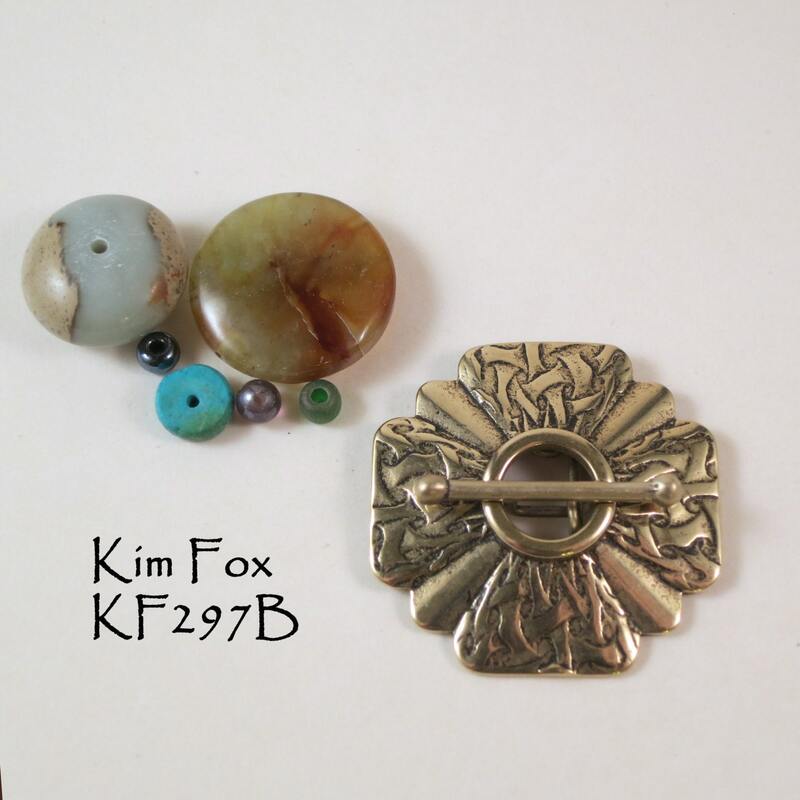 The clasp is 1.25 inches across. 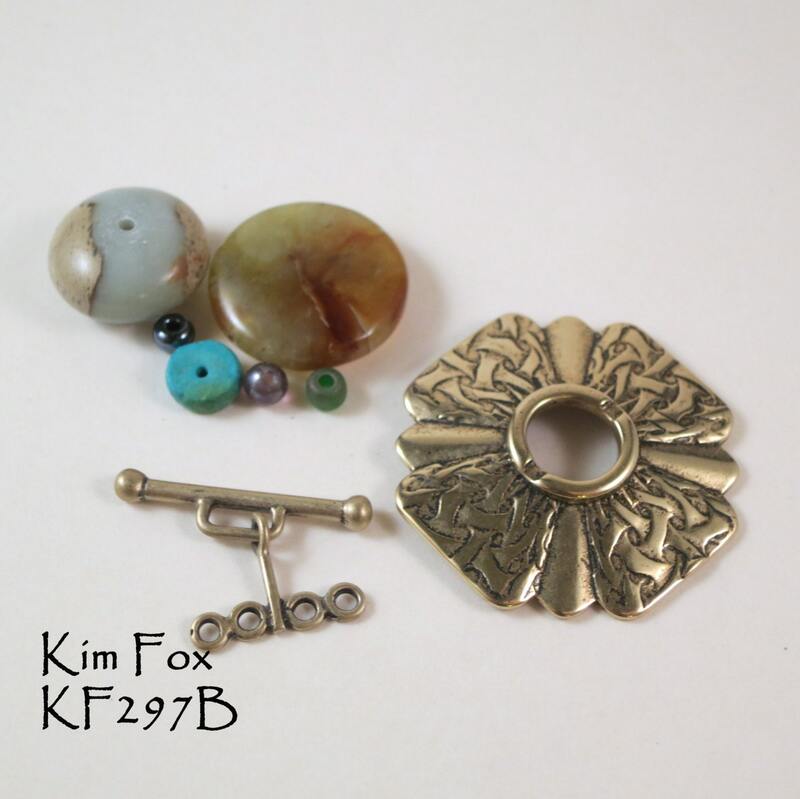 The hinged Toggle bar makes the clasp easy to join. The toggle lays flat and hides the connections to it. 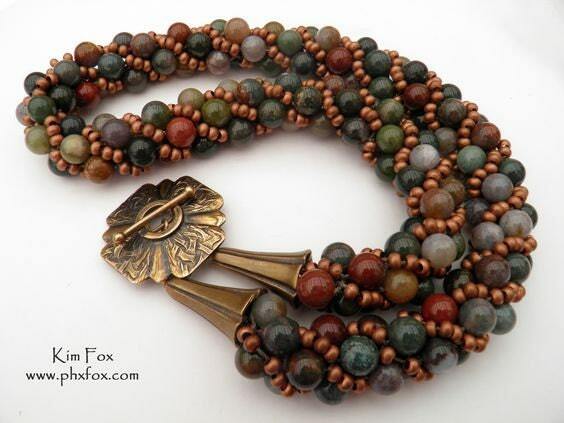 The toggle is highly decorative and can be easily worn in the front, side or back of a necklace. The loops on the toggle are large enough to take cord or wire and allows for a flexibility of items to be connected to it. this is GORGEOUS!! using this as a focal and a clasp.